If you are an existing user, please sign in as normal using your User ID. To ensure your Patient Access account details are correct and up to date. Confirming or adding your email address will allow you to sign in using this address in future. You will use your email address and password, or your user ID and password. Simply check your details, add any missing information e.g. email address, enter your existing password, then select Submit. Note: If you do not confirm a sign in email address you can continue to sign in with your User ID. You can also view our video tutorial on how to sign in for the first time here. 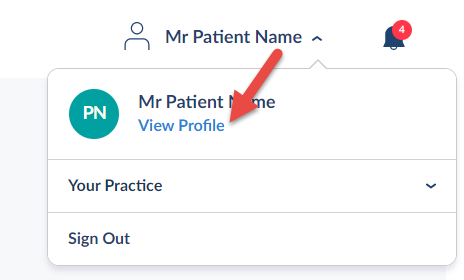 Once you have signed in, access the View Profile section to verify your contact details. Note: If you add your mobile phone number to your profile, should you forget your password at any stage, we can use the mobile phone number to verify your identity and reset your password. Should your contact details change at any point, these can be updated using the View Profile section.